Food bloggers have been waxing lyrical over kale for ages, yet for some reason I've never felt driven to purchase it at the markets. That is, until I saw a packet of baby kale on the bargain table for 50 cents. If you're a regular reader of my blog, you know I love the bargain tables - the cheap prices give me extra incentive to take the plunge on an unfamiliar ingredient. 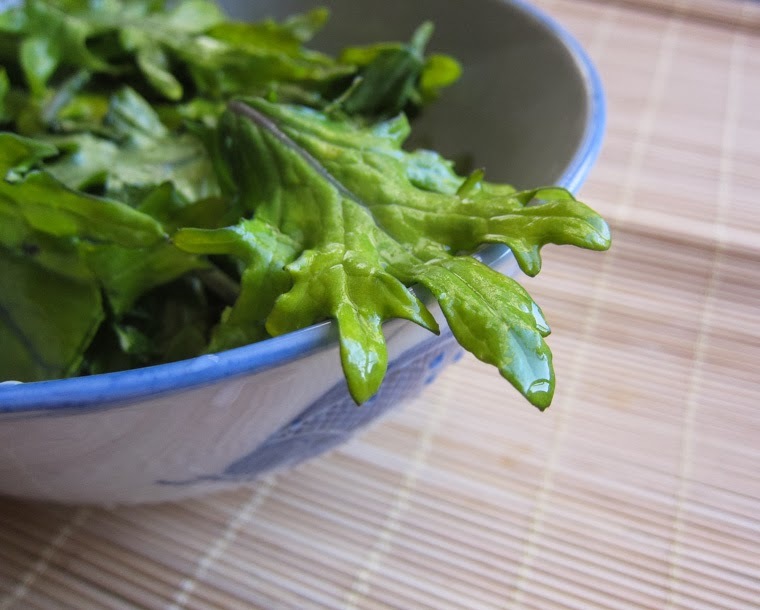 A bowl of washed baby kale. I am also currently going through a phase where I enjoy experimenting with Indian flavours in the kitchen. 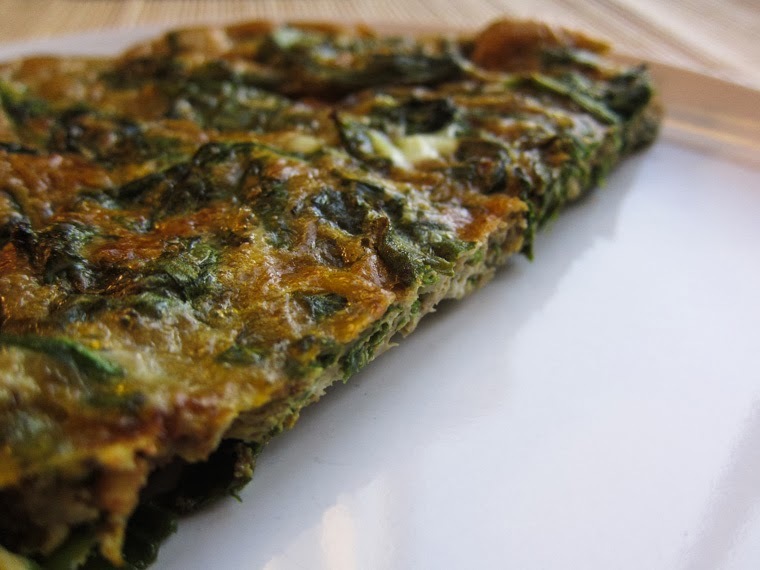 Thus, an oven-baked spice kale frittata was born - a really thin one, almost an omelette. I used various spices I had on hand. I just sort of threw them together because I find that kind of thing enjoyable, but if you can't be bothered, I think some of those pre-mixed Indian curry spices in tins would suit here, too. If you're mixing your own, feel free to adjust the amount of chilli powder to suit your preferences. Mine had a surprisingly generous dose of heat - good thing we both deal well with spicy food! 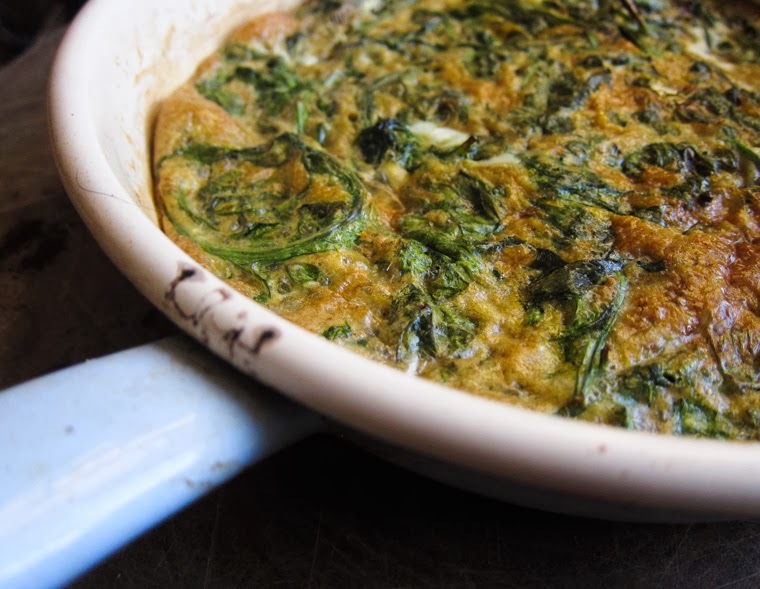 Oven-baked frittata with baby kale and lots of spice. In a 20cm/8" oven-safe pan, fry spices in oil for about 15 seconds over low to medium heat, keeping an eye on them and stirring so that they don't burn. Add salt and baby kale. Stir-fry for another 2 - 3 minutes until the leaves are wilted. In a bowl, whisk eggs together with coconut cream, salt and pepper. Add in the cooked kale and mix well. Pour the entire mixture back into the oven-safe pan you had previously used for stir-frying the kale. Bake in an oven that had been pre-heated to 180ºC / 350ºF fan-forced (200ºC/390ºF conventional) for about 15 minutes. It should be golden brown on top by then. Cut and serve the frittata! You can eat it by itself with a dollop of cool coconut cream or tangy plain yoghurt, have it with rice, slot it into a sandwich, or whatever. I'll admit, this is a pretty basic recipe, so feel free to add more veggies in there - next time I'd cook a bit of garlic and onion before adding the baby kale at the stir-frying stage, for extra nutrition and flavour. 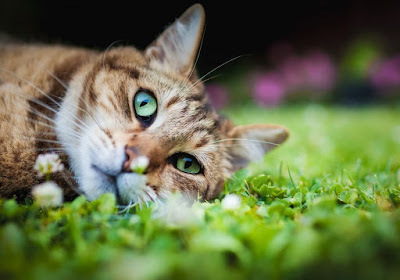 Look fabulous! I wish someone would make me this tonight. With a billion squirts of sriracha. I found this spicy as it was, but it's hard to go past sriracha if you have it! Thanks! :) Gotta love the bargain tables... and I'm looking forward to more kale experiences. perfect for a mild Italian winter! whoa - that last pic looks scrumptious. i love kale, and am a bit mournful that i don't have any growing at the moment.. will keep this recipe for when i'm back in the swingy of kale-y things! You know, i've never made a frittata. you've made me want to try one!